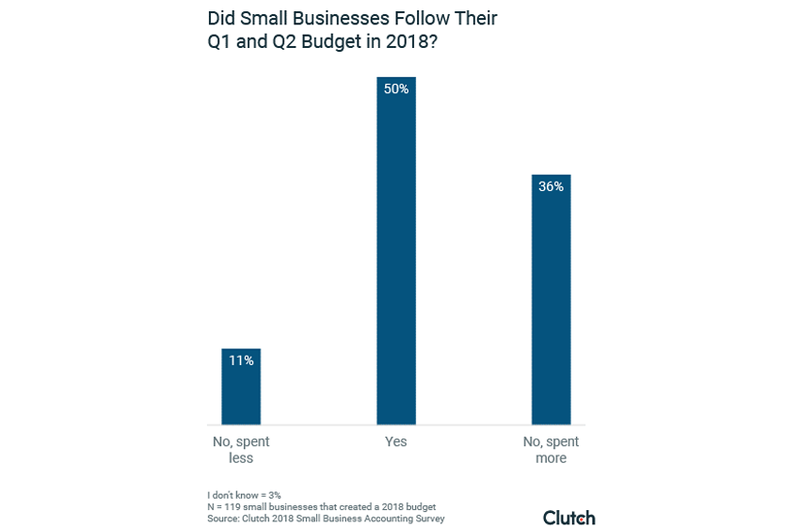 A new survey from Clutch just revealed close to two thirds or 61% of small businesses didn’t have an official documented budget for 2018. This problem is more prevalent with businesses that have 1 to 10 employees as 74% in this group did not create an official budget. The number goes down to 21% for businesses with more than 10 employees, a difference of more than 50 percentage points. 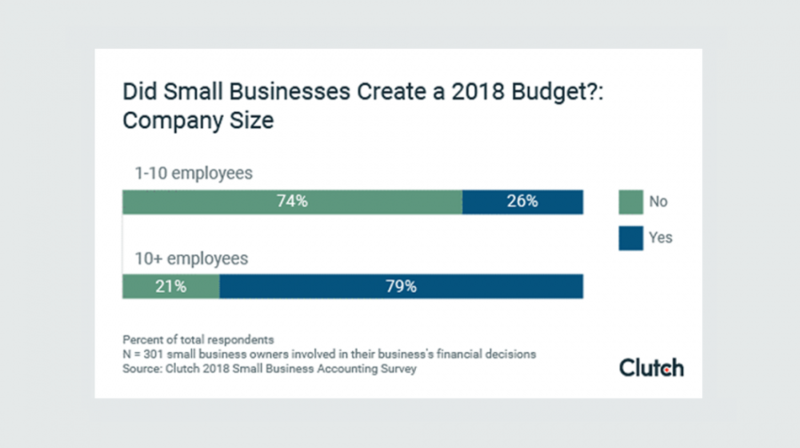 The data from the Clutch survey shows growing companies have come to understand the importance of creating a budget, while many small businesses still don’t have a full appreciation of the benefits of having an official budget. The author of the report, Riley Panko said businesses of all sizes should create a budget if they don’t want to risk the financial health of their organization. The Clutch survey was conducted with the participation of 302 small business owners or managers. The goal was to find out what type of small businesses create and need budgets, as well as what they expect to accomplish when they develop a budget, and whether they can stick to it when they do. The respondents are involved or very involved in the financial decision-making process of their organization. The group was made up of 58% women and 42% men with a range of experiences in small business management or ownership. The majority or 60% said they owned or managed a small business for five or more years. The remainder were as follows, 17% for 3-4 years; 13% for 1-2 years; 10% for less than 1 year. The biggest takeaway from this survey is most small businesses forgo official budgeting. On the other hand, companies with more than 10 employees are more likely to have a budget. 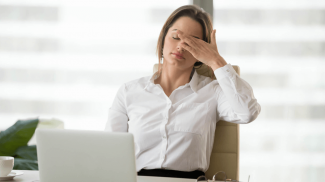 The report accounts for this discrepancy because it is easier for businesses with a handful of employees to keep an eye on their operations. Thus, they don’t feel the need for the outside accountability of a budget. What About Businesses That Budget? In 2018, 50% of the small businesses who had a budget stuck to their Q1 and Q2 targets, while 11% came under budget, and 36% spent more. So, the question becomes how can small businesses stick to a budget? In the report, Panko recommends companies to set budget goals and keeping an eye on those goals. Additionally, she says to review finances regularly. This means every thirty days instead of quarterly. The longer the gap between each review, the higher the chances of you going over the budget. Having an official budget for your small business gives you a clear picture of how it is performing. You will be able to see the difference between your actual results and the budget you have established. This, in turn, allows you to make informed decisions about the steps you should take to come on budget or even under budget. As Wanda Medina, co-founder and CEO at Maventri, said in the report, “Having a budget keeps everyone working toward the same goals and helps scale your business.” And in today’s digital ecosystem there are many tools, including free ones, you can use to create a budget and stick to it. 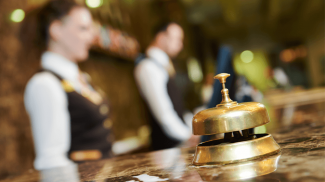 How to Get 5-Star Hotels at 3-Star Prices on Your Next Business Trip? This means that most of them may not know if they are losing money. A budget is essential to see how the money is flowing in your business.